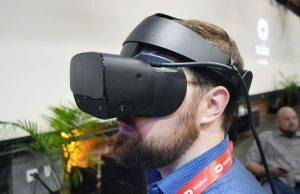 Although Valve is now prompting Rift users to install SteamVR, there’s more steps to actually get the Oculus Rift working with Steam. 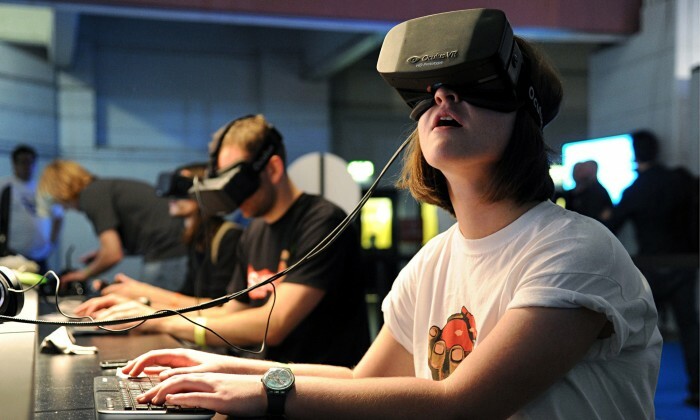 In a few quick steps you can use your Oculus Rift to play Steam and SteamVR games. Our quick guide will show you how. 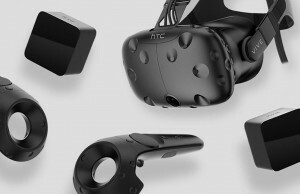 Valve wants Steam and SteamVR to be the VR content destination of all VR headsets. 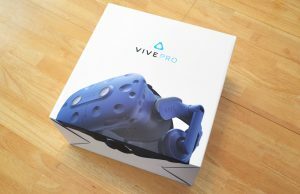 Although Valve is working closely with HTC to promote the Vive as the flagship headset for the platform, Steam VR also supports the consumer Oculus Rift and even the older Rift DK2 development kit. 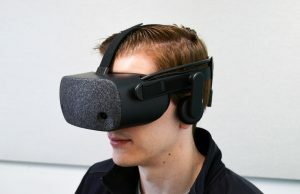 The first step to getting your Oculus Rift working with SteamVR is actually to make sure your Rift is installed and working correctly. 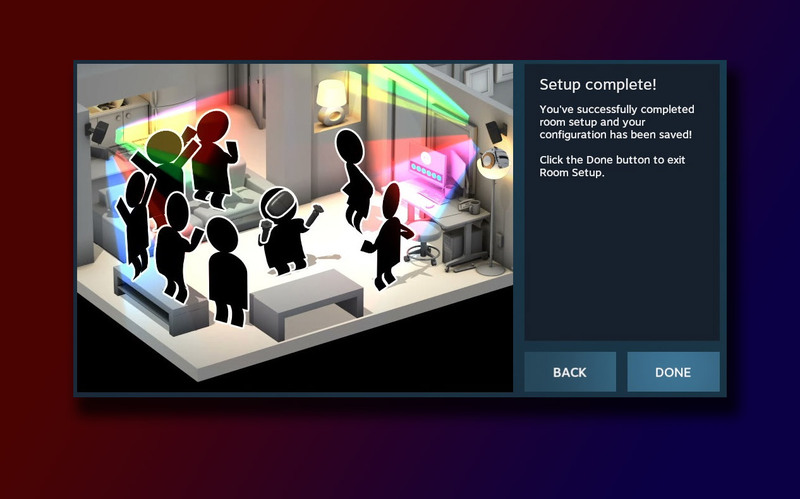 If you haven’t already, go here to download the Oculus Home setup which will walk you through installing your consumer Rift (you’ll also want to use this to install Oculus Home even if you’re using the Rift DK2). 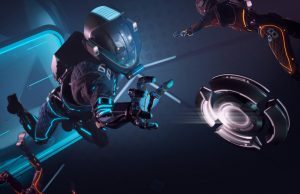 Once installed, check to make sure you can launch into the Oculus Home VR environment with no issues. 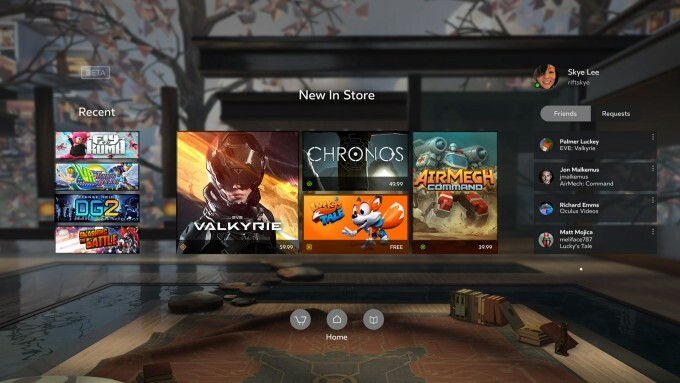 Take your headset off and turn your attention to the Oculus desktop app. At the top right, click the gear icon to access Settings. On the left side menu, click General then tick the Unknown Sources switch, followed by the Allow button. 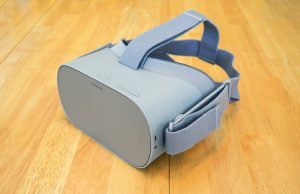 Do not close the Oculus desktop app. Launch Steam (install it from here if you haven’t already). 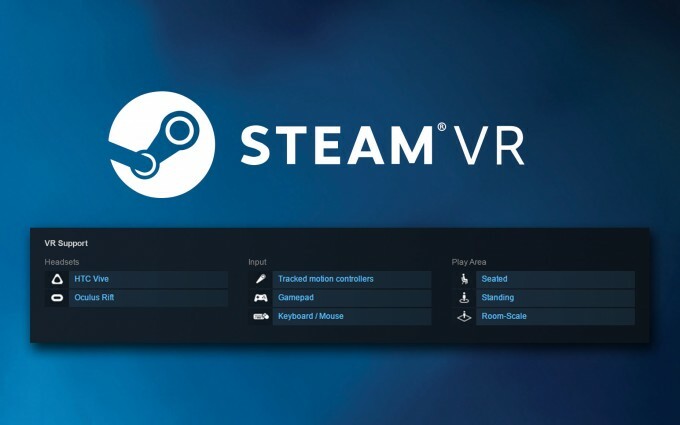 If you aren’t automatically prompted with a pop-up to install SteamVR, go to Library > Tools and install SteamVR from the list. Once SteamVR is installed, you’ll see a VR icon at the top right of the Steam window (near the minimize and maximize buttons). 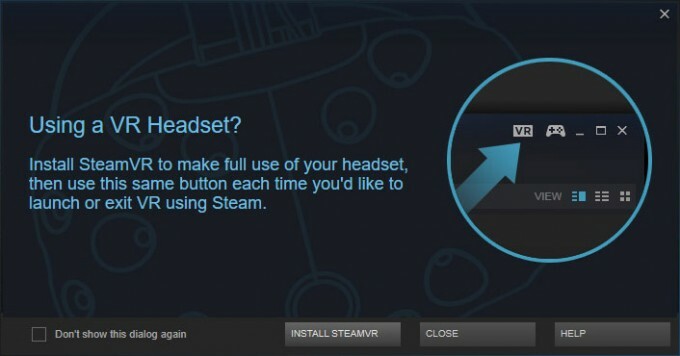 Click this to launch SteamVR. 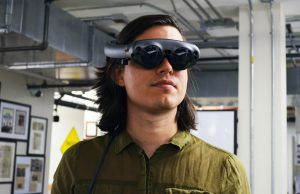 Your Rift should now be detected and you should be able to put on your headset and see the VR version of SteamVR. (Note: The Oculus desktop app will likely need to be running in the background.) 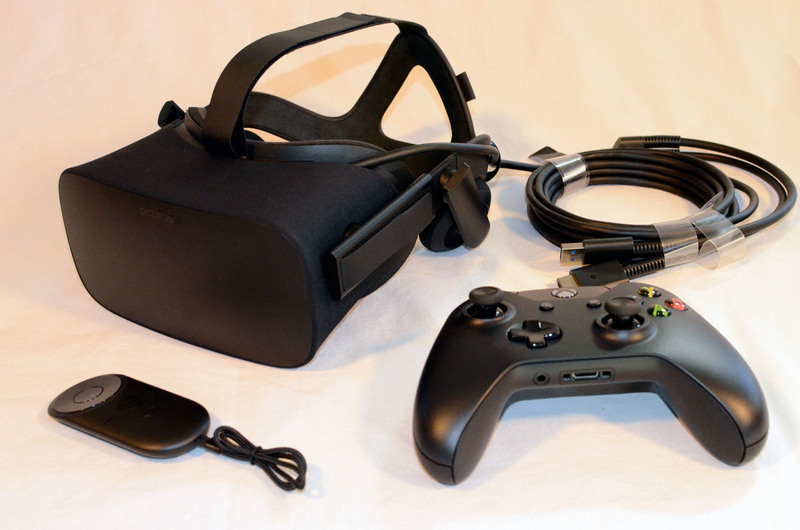 The Back button on the Xbox One controller (included with the consumer Oculus Rift) will open the SteamVR menu when you have the headset on. 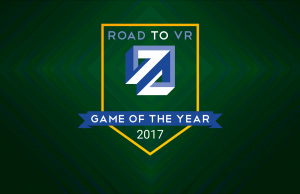 Now you’ve got your Oculus Rift working with SteamVR, but you need to know which games support the Rift specifically. Games on SteamVR are designed with different headsets, inputs, and play areas (how much room you have) in mind. Some games may be designed to support everything, while others may only be made for seated play with a gamepad, while yet more may only support room-scale with motion controllers. 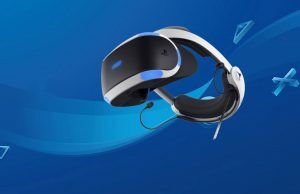 Look carefully the specific Headsets, Inputs, and Play Areas supported by each game before running off and buying everything marked with ‘VR Support’ in sight. 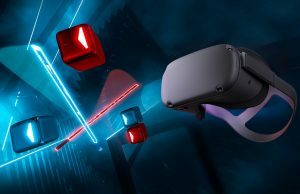 If you’re using a Rift right now, you’ll likely be restricted to playing SteamVR games that support the gamepad or keyboard / mouse (since Oculus hasn’t launched their Touch controllers yet) and Seated or Standing Play Areas (since you’ve only got one sensor for tracking, while wide-area 360 degree degree ‘room-scale’ gameplay requires two sensors). 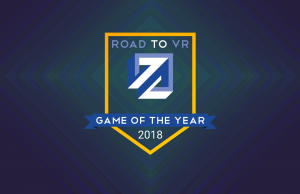 If you’re a PC gamer, you’ve probably got a huge library of non-VR games and wouldn’t mind a way to bring them into VR. 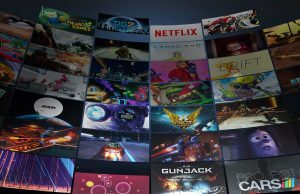 With SteamVR’s Desktop Theater Mode, you can play your entire Steam game library in virtual reality on a virtual big screen TV. To do this, simply put your headset on and jump into SteamVR. 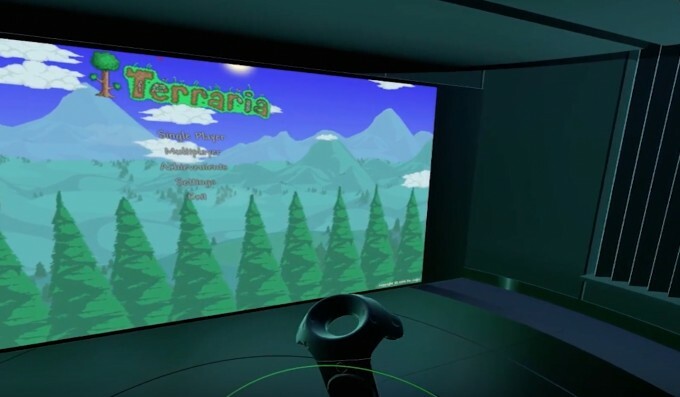 Then use the menu to launch a non-VR game in your library. 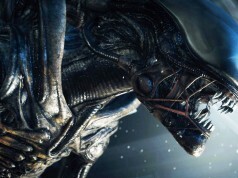 Launching the game this way will bring it up in Desktop Theater Mode which will allow you to play it on a virtual big screen TV in a home-theater like setting. This feature is pretty basic for now, but we hope to see Valve update it over time with more functions (especially social!). Tried this with the DK2 and an Xbox 360 controller. It worked fine for the setup and the intro demo, but then I wasn’t able to open the SteamVR menu. I got stuck on a blank grey scene with a grid, and with the DK2 camera sensor floating at it’s position. That was my problem too, but the article states we have to use the back button on the controller. I haven’t tried yet, but that may be the solution. Yes, the back button is the answer. Hopefully in the future they’ll just turn the SteamVR menu on by default. Very silly oversight. I tried back button, then start to navigate dashboard, but nothing happens. just got a volume and settings bar. 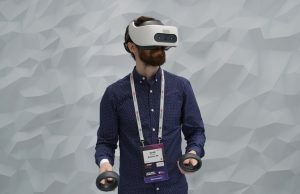 Is Oculus home supposed to be running in unison? Replying to a year-old post, but this problem persists. DK2+Xbox One working well with Steam, yet I can’t get rid of the damn grey camera in the middle of the screen. 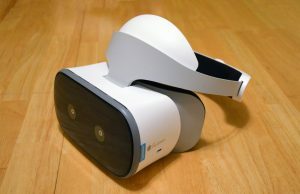 We are indeed talking about the consumer model of the Rift. 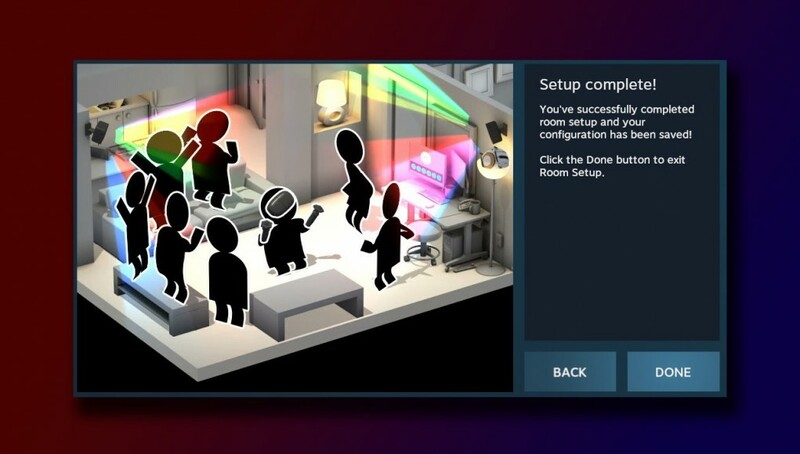 SteamVR supports the Rift consumer model as well as DK2 (possibly even the DK1). Well I just got it working. Tried Half Life 2 lost cost. Unplayable because the image is so blurry (and no it isn’t my DK2 setup). Vorpx virtual theater gives razer sharp imagery… Even after I changed the resolution of HL2 lost coast it made no difference. The virtual room is sharp enough… it’s just the game image that’s blurry. Vorpx has nothing to worry about. 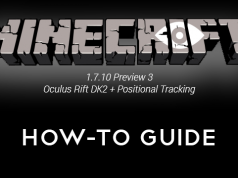 theres a little arrow icon like this > but pointing down, it’s on the pop-up window on your desktop that starts out by showing the rift head set, controllers and light boxes, you should be able to click that and see the rift option to switch to that, make sure everything has been updated and reboot… hopefully that works for you. One very important step not mentioned here is to make sure that even if you have a DK2 or a CV1 you STILL need to configure and calibrate your seated/standing profile. I tried it with my DK2 without doing this step and some SteamVR games I found myself on the ceiling or other such weirdness. After calibrating my seated position all was well. One thing I did like about SteamVR is that even without the chaperone system, after you calibrate it, it shows you virtually where your center should be. It’s like a big bullseye under your feet so you can always find the center position you used when calibrating so you don’t get turned around :) Enjoy! If you go in SteamVR and you see the Sensor and an empty room. Use the middle buttons the one on the left, it will bring up the menu. OC CV1. 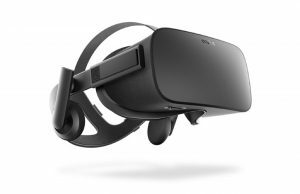 You can get a ‪#‎Oculus_Rift‬ for FREE! My Rift cv1 tracking is not working on Steam. tried raising it, restarted computer and steam several times. Any ideas would be very appreciated!